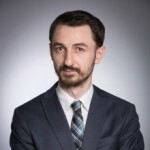 Mușat & Asociații offers you the services of one of the market’s most experienced team of attorneys specialized in competition law, headed by Paul Buta, a leading expert in this sector. Drawing upon a first rate theoretical expertise and unparalleled track record, the members of our competition practice offer stand-out legal assistance regarding both national and community competition law in a practical, comprehensive manner, fully fulfilling our clients’ expectations. Our Competition & Antitrust practice provides the full range of competition services, assisting clients in all stages of antitrust proceedings and investigations carried out at both national and community level, concerning both cartel-type behavior and alleged abuses of dominant position. We offer assistance during dawn raids, in relation to drafting answers to questionnaires from the Romanian and European competition authorities and structuring the defense against a Statement of Objections or an Investigation Report. We represent our clients during the Hearings procedure and we provide assistance when challenging the relevant decisions in Court. We offer legal advice and representation during merger clearance procedures at both national and community level and have extensive expertise in the field of State aid, ranging from providing specific State aid analysis to notifying State aid measures to the European Commission. We work together with our clients in an attempt to ensure that their activity does not breach competition rules and provide extensive competition law trainings and audits. We have built extensive knowledge and practice in designing, implementing and monitoring tailored compliance programs, and provide specific training, including simulated dawn raids, in order to mitigate the risks associated with unannounced inspections. Additionally, we advise on all competition aspects of commercial contracts, including joint venture agreements, distribution agreements, franchising and services agreements in a wide range of industries including, but not limited to, pharmaceuticals, telecom, household appliances, retail, fast moving consumer goods, automotive, banking, insurance, energy, private pensions. The Romanian competition authority in relation with the implementation of the commitments undertaken by a leading telecom provider and approximately 100 distributors following the investigations carried out by the authority in relation with potential anti-competitive agreements between the three main telecom providers and their respective distributors. The competition concerns of the authority that had to be alleviated as a result of the commitments concerned mainly the area of resale price maintenance through recommended maximum prices, market sharing and non-compete obligations. The Romanian subsidiary of one of the largest pharmaceutical companies in the world in relation to a landmark competition case in Romania concerning the first antitrust investigation dealing with an alleged abuse of dominance in the pharmaceutical industry following the complaint filed by a former distributor. The investigation was closed without a finding of infringement against the Client and we are currently representing in court against its former distributor. 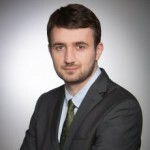 One of the largest players in the printing industry in Romania in an investigation launched in 2013 by the national competition authority concerning alleged cartel-type behaviour in the form of bid rigging in connection to certain acquisition procedures taking place on the market for printing services. The national subsidiary of one of the largest worldwide household appliances manufacturers, in connection with an investigation launched by the national competition authority, alleging that current WEEE collecting campaigns in the form of “buy-back” programs undertaken by EEE producers, their retailers and the WEEE collecting associations infringe the provisions of the Competition Law and those of the Treaty on the Functioning of the European Union. We are currently representing Electrolux in front of the Romanian court in court proceedings against the sanctioning decision issued by the Competition Council. The largest TV content producer in Romania, in front of the Romanian courts in its dispute with the operator of the main cable network in Romania, concerning its discriminatory refusal to enter into negotiations regarding the re-broadcasting of the group’s TV channels. One of the leading small-arms producers worldwide in an antitrust investigation regarding alleged bid rigging in the tender procedure organized in view of purchasing infantry ammunition and optical devices, organized by the Ministry of National Defence. We are currently representing the Client in court proceedings against the decision issued by the national competition authority. The Romanian subsidiary of one of the leading worldwide utility providers in connection with an investigation launched by the national competition authority for an alleged abuse of dominant position perpetrated via an alleged refusal to grant access to the upstream pipeline system administered by the Client, further to the privatization of the Romanian gas distribution and supply system. The investigation was closed without any findings of infringement against the Client. The largest TV content producer in Romania in connection with the antitrust investigation launched by the national competition authority regarding the abuse of dominance carried out by the operator of the main cable network in Romania in refusing to rebroadcast a must-carry TV channel operated by the group and in connection with the court challenge of an authority decision addressed to the sector authority recommending a change in legislation pertaining to the status of must-carry TV channels. The national subsidiary of a worldwide road construction giant, in relation to an investigation launched by the national competition authority regarding an alleged bid-rigging for certain road maintenance works. The investigation was closed without any finding of infringement against the Client. A multinational brewing and beverage company, one of the largest in the world, regarding the merger control analysis of a number of contemplated acquisitions certain beer brands present on the Romanian market as well as during the full merger control and clearance proceedings triggered by the EUR 10,000,000 acquisition of the majority stake in one of Romania’s oldest and most reputed breweries. The national subsidiary of one of the most important producers of dairy products, in connection with an investigation launched by the national competition authority regarding the vertical relationship between suppliers and a number of retail chains. The investigation was closed without any findings of infringement being made against the Client. One of the main holding insurance companies in Europe in connection with a complex price fixing cartel investigation on the privately administered compulsory pensions (2nd Pillar) market. The national competition authority’s investigation also aimed at establishing whether an infringement of Art. 101 TFEU was perpetrated by the participants to the cartel, due to the Community liberalization of pension fund adhesions. The Romanian subsidiary of one of the main holding insurance companies in Europe and one of the main players on the privately administered private pensions (2nd Pillar) market in Romania, in the investigation proceedings undertaken by the national competition authority regarding a market sharing cartel on the privately administered compulsory pensions market, as well as regarding a possible infringement of the rules under art. 101 TFEU. Our work covered the entire range of competition law tailored assistance, from dawn-raids undertaken immediately after the launch of the investigation to providing assistance in respect of subsequent requests for information and other ancillary investigation-specific activities, up to the hearings held by the national competition authority based on the findings recorded in the Investigation Report. We further represented the Client during the court proceedings against the decision rendered by the national competition authority. A Romanian Ministry in connection to the state aid issues raised by the ongoing privatization of the biggest rail freight operator in Romania, including the drafting of the Private investor test regarding a debt-to-shares conversion. A leading worldwide pharmaceuticals corporation in connection with a significant number of competition law-related matters with a premier focus on the competition aspects entailed by its distribution relationships, such as special offers, discounts, exclusivities, selective distribution agreements, participation in tenders, and to the setting up of an emergency distribution system related to one of its products, in such a manner as to comply with the competition law requirements. The leading French independent pharmaceutical company and its Romanian subsidiary with day – to – day competition related matters ranging from discounts and promotion activities to distribution agreements and including the setting up of an emergency stock system in such a manner as to comply with the competition law requirements. A German private investor, in relation to merger control aspects of a transaction involving the acquisition of freight wagons manufacturing facilities and related IP rights. The Romanian subsidiary of one of the largest pharmaceutical companies in the world in various competition law matters triggered by a series of complaints filed with the national competition authority by its Romanian distributors, alleging an abuse of dominance by the Client, based on its refusals to meet certain of such distributors’ orders for medicines, as well as in providing competition law training and mock dawn raids. A leading Croatian pharmaceuticals producer, in respect of an investigation conducted by the national competition authority related to an alleged infringement of competition rules at both national and EU level, via the impairment of parallel trade. One of the leading pharmaceuticals importers and distributors on the local market, during an extensive investigation of the national competition authority following the decision of pharmaceuticals distributors to stop delivering medicines to pharmacies and hospitals during February-October 2008. The investigation was closed without a finding of infringement against the Client. A British multinational pharmaceutical, biologics, vaccines and consumer healthcare company, one of the largest pharmaceuticals companies in the world in connection with the investigations and dawn raids conducted by the national competition authority on certain drug markets, as well as with various competition issues deriving from the distribution agreements concluded with their wholesale distributors, employee training and elaborating compliance programs, as well as in relation to the full range of competition-related matters in connection with the acquisition of the largest private pharmaceutical group of companies in Romania. A Swiss-based pharmaceutical company, one of the largest pharmaceutical companies in the world with respect to providing assessments on both the Preliminary and the Final Reports of the European Commission on the pharmaceuticals market, with special attention to its impact on the Romanian market, as well as in connection to sensitive competition law aspects of an envisaged protocol to be concluded with the Ministry of Health, so as to provide breakthrough medicines in one of the most important national health programs. Our work also covered providing legal assistance and representation in connection with a complaint against an alleged abuse of dominant position by the Client, filed with the national competition authority by a generic company, and eventually dismissed by the authority as ungrounded. A major Danish pharmaceutical company, before a number of public authorities, including an extensive analysis of the relevant Romanian regulations and case-law related to the protection of the company’s rights against the generic companies, within the context of the European Commission’s sector inquiry on the pharmaceutical market and the Preliminary and Final Reports thereof. A leading worldwide pharmaceuticals corporation, in relation to the court proceedings initiated against the decision of the national competition authority, as a result of the investigation carried out on the insulin drugs market. Our work included assistance during the dawn raid investigations, submitting written observations to the authority, representing the Client’s interests during the hearings held before the Plenum of the national competition authority, training employees and elaborating compliance programs designed to mitigate the risks associated with unannounced inspections, as well as representation in front of the Romanian courts. The Diagnostics Division of one of the main international pharmaceutical producers on the whole array of antitrust aspects related to the EUR 17,500,000 acquisition of an in vitro diagnostic health business, including filing the merger control notification with the national competition authority and obtaining clearance from the latter. An association of companies in the pharmaceutical sector, as well as several first-rank pharmaceutical producers with respect to the national competition authority’s ongoing sector inquiry conducted on the wholesale pharmaceuticals distribution market in Romania, including trainings, designing and implementing specific compliance programs and representing the Client before the authority. Four leading Romanian advertising and media procurement agencies in an investigation launched by the the national competition authority on the market for media services procurement. The local producer and distributor of well-known international beer brands during a sector inquiry launched by the national competition authority on the beer market as well as with the restructuring of its commercial contracts following the completion of the sector inquiry. A leading real estate developer and operator of two of the most important shopping centers in Bucharest, in relation to a recent sector inquiry on the cinema theatre operation market in Romania. A leading Italian energy and utilities group, on all competition matters in connection with the EUR 820,000,000 acquisition of a leading state-owned utility supplier, including the preparation of the merger control notification to EU DG Competition, commenting on the Romanian Government’s State-aid filing to the EC, as well as legal advice and assistance in connection with various “golden share” issues raised by the EC in respect of the privatization agreement. One of the main issuers of meal tickets on the Romanian market, in connection with a complaint to the national competition authority regarding the existence of an anticompetitive agreement between the three main players on the meal vouchers market. Following the filing of the complaint, the authority launched an investigation on the respective market. The national subsidiary of one of the leading poultry and beef processor in Turkey in respect of merger control issues related to the acquisition of three poultry farms. A Romanian leasing company, part of an international integrated banc assurance group, in respect of a recent complaint filed by a competitor with the national competition authority, alleging an abuse of dominance in respect of the Client’s market behaviour. One of the most important Romanian-based banks, in respect of the investigation currently undertaken by the national competition authority on the banking services market in Romania. The local subsidiary of one of the largest European electricity utility companies in connection with two separate sector inquiries on the Romanian energy and heat production markets. Legal work includes extensive Competition law due diligence of all relevant documents and correspondence, with a view to acknowledging the compatibility thereof with the current competition law framework, in which respect, we have set up an extensive Competition Law Compliance Program to be implemented by the Client in its internal proceedings, as well as in its contacts with third parties, including public authorities. A European Union agency for the provision of finance to small and medium-sized enterprises with respect to the implementation of the EUR 100,000,000 Jeremie project in Romania, throughout which EIF shall manage, on behalf of the Romanian State, the structural funds provided by the EU for the purpose of stimulating the SMEs sector. Our work covered the assessment of several First Loss Portfolio Guarantee agreements as to the compliance of such instruments with State aid rules and the State aid schemes issued and implemented by the Romanian authorities. One of the largest Romanian electricity producers, in respect of setting up a project company with strategic private investors, for the purpose of building a new hydro power plant. Our work covered the assessment of potential implications of State aid rules in respect of setting up the project company, as well as a review of the documentation prepared for setting up the said company, from the perspective of competition rules. A major Swiss energy group with regard to merger control proceedings triggered by its acquisition of a Romanian energy provider. Legal work covered the entire transaction, from the initial discussions and negotiations, including drafting and finalizing the SPA, drafting and submitting the merger control notification form to the national competition authority, and obtaining the latter’s clearance with regard to such transaction. The local subsidiary of one of the largest manufacturers of escalators and elevators worldwide in its relationship with the national competition authority, and counselling the Client in respect of the market survey proceedings undertaken by the national competition authority on the Romanian escalators and elevators market, in line with the proceedings undertaken at EU level by the European Commission. The Romanian subsidiary of a worldwide multinational brewing and beverage company in a significant number of competition law-related matters, ranging from distribution agreements, discounts and promotion activities to compliance policies, also preparing a tailored Competition Law Compliance Program. 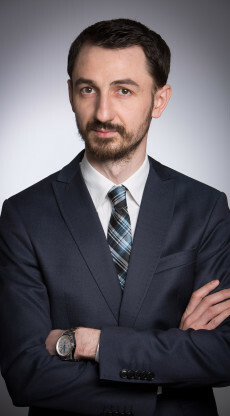 The European subsidiary of a Japanese multinational engineering and electronics conglomerate company in connection with the implementation of a new machinery distribution system and assessing the compatibility thereof with the rules of the Romanian Competition Law and proper implementation of the agreement. A number of clients, including a major automotive producer, a French cosmetics and beauty company, a global pharmaceutical company, a high-end Danish designer and manufacturer of modern furniture, a German manufacturer of writing instruments, watches, jewelry and leather goods and an American company that develops consumer, aviation, and marine technologies for the Global Positioning System in connection with structuring and implementing several distribution agreements, entailing either exclusive or selective distribution systems, or franchise agreements, the compliance thereof with competition laws and regulations, including representation before the competition authorities. An association of Romanian brewers with respect to compliance with the EC & Romanian Competition law and regulations regarding the exchange of information concerning the activities of the members thereof. A leading Italian energy and utilities group in relation with the implementation of one of the biggest PPP projects in the utilities sector via development of two units of a leading Romanian nuclear power plant, with an estimated value exceeding EUR 4,000,000,000, in joint venture with the Romanian State. 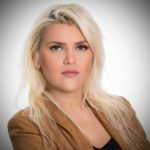 The mandate includes legal assistance on a day-to-day basis on golden share, State aid and antitrust issues arisen in connection with structuring and negotiating the joint venture agreement, the investment agreement and the articles of incorporation of the new company. A leading Italian energy and utilities group following the acquisition of two of the subsidiaries of the largest electricity distribution company of Romania in relation with obtaining the national competition authority’s clearance, as well as drafting the notification to the authority and representing the company’s interests in all notification ancillary issues before the competition authority. A leading international group in the production of construction and ventilation materials in connection with all the competition matters arisen from the acquisition of two Romanian companies belonging to the leading Slovak manufacturer of metal roofing and wall cladding, including the preparation of the merger control notification and obtaining the clearance from the national competition authority. One of the largest investment funds in the Czech Republic, on a wide array of competition matters (merger control and State aid included) arisen in the context of the fund’s continued acquisitions in Romania, among others, in the hotel construction and utilities sectors, with a total value of more than EUR 200,000,000. Winner of ILO “Client Choice Award” in Competition. Highly recommended in Competition by the prestigious British guides of the legal profession.